Club WS1200 wurde bewertet mit 4.9 von 5 von 7. Rated 5 von 5 von AROD aus Great value I put 1 12 in my 2008 GMC crew cab in .85 cu. ft. box on 750 watts and it slams. I was very surprised by the sound quality. It doesn't sound like a flat woofer!!!! Rated 5 von 5 von Fozzy268 aus Van-Shaking Bass! Bought one of these for my VW T4 van. Built a sealed enclosure for it and it sounds incredible. 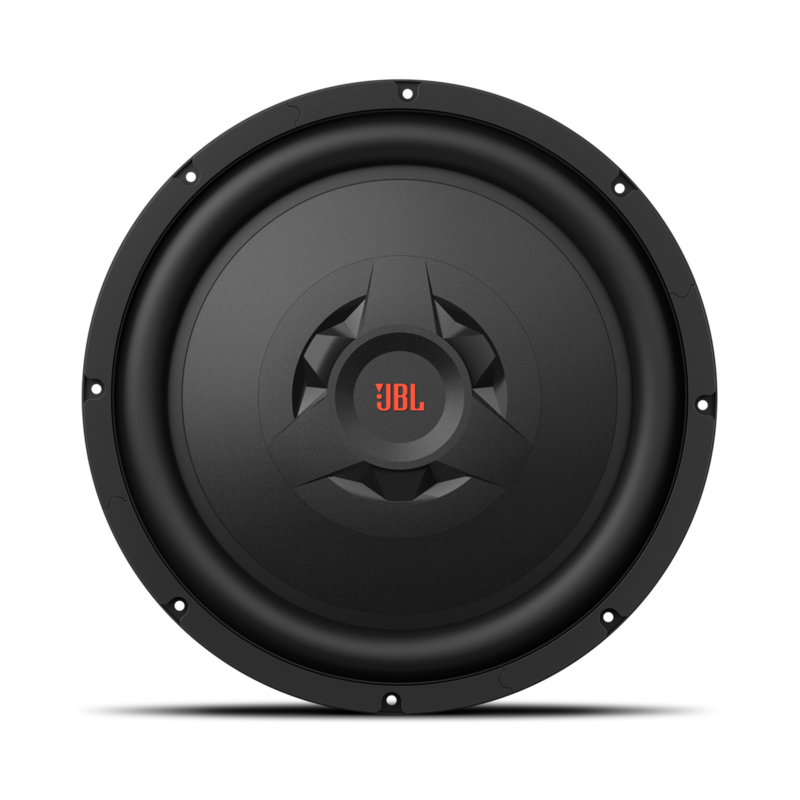 Bass is van shaking and goes really well with my JBL GTO 6x9s. Great for adding some extra kick to older styles of music and even better for adding some thunder in genres like Drum and Bass! Rated 5 von 5 von Bass Head aus Excellent Unit I used to do pro concert audio about 20 years ago. We were mostly using EV, Celestion and Peavey. A local distributor started importing JBL and their power and clarity for size ratio was very impressive. They were a bit costly at the time though. I recently had the desire to upgrade my vehicle audio. The JBL speaker units were affordable and so I gave them a try. Brilliant speaker. It's an auto speaker so the sensitivity is less than a pro unit which would be around 100 - 103dB, but I am really impressed. I put a single unit in the boot in a sealed enclosure and it fills the car completely: Tucson SUV. I used a sealed, off-the-shelf product - yes, I used to tune all my cabinets to the TS parameters - but I don't have the tools or the workspace for it at the moment so I had to settle. 27Hz is low, and even in a shallow, closed cabinet it reproduces the low B (31Hz) of an electric bass or double bass consistently and clearly. The only issue is the speaker diaphragm displacement. I can't find the exact excursions limits but on the kick drum and low-end chords it is significant. So significant in fact that that the sealed cabinet actually 'kicks back'. It bottoms out in the cabinet and 'flaps'. But, that's not the driver's issue - it's an asset - it's a cabinet issue. I plan to purchase another unit, and get the fitment centre to put the two into a reflex-type enclosure. I'm leaning towards a 6th order bandpass but I haven't done the calculations yet, so that may change. Highly recommend the unit. 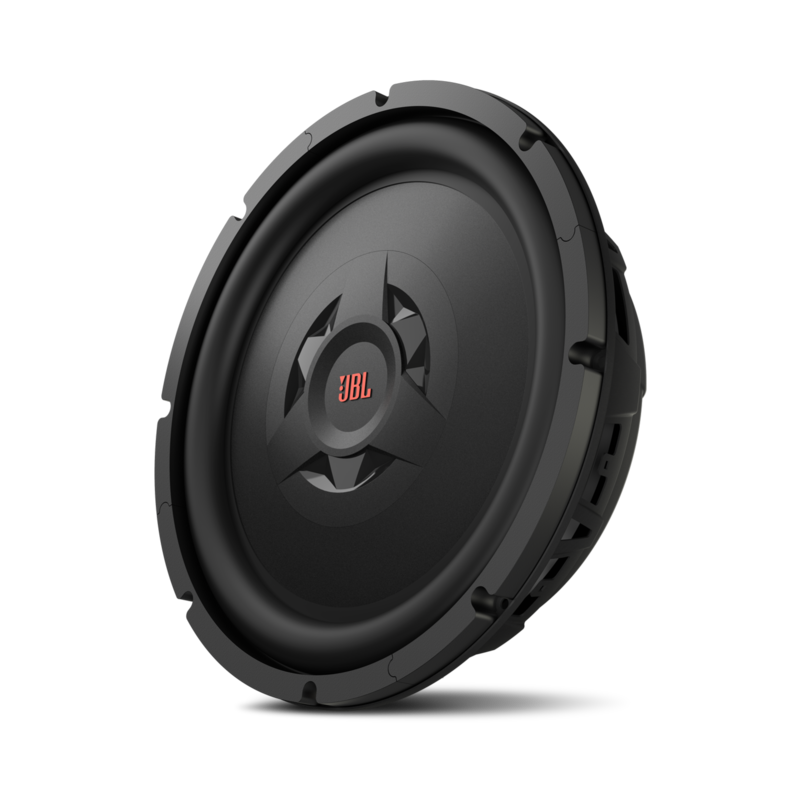 Rated 5 von 5 von scrgdj aus Perfect for any size car Put this in a sealed enclosure running a much higher rated amp that what the sub can handle. Turned down the gain to match it up, ran the sub in nicely and it is working amazingly. Especially since I'm running a single 12" in a sealed box in what is effectively a station wagon. 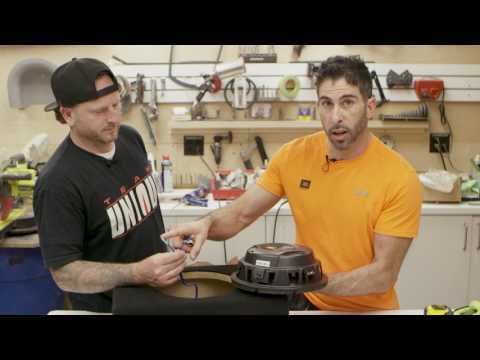 The OHM switch is an amazing feature that makes life much easier and so much quicker to do an install. Hi what size box would one need for this subwoofer? both sealed and ported? i noticed that this is the only subwoofer you guys don't specify this could you pleas fix that, or explain why you haven't written anything about that. Hi Ecro, As your question requires troubleshooting by our Product Specialists, we invite you to contact the Harman Customer Support team by telephone, email or chat in order to receive direct assistance. Please see https://uk.harmanaudio.com/support-contact.html#ns [ for further details.&nbsp; Thank you. 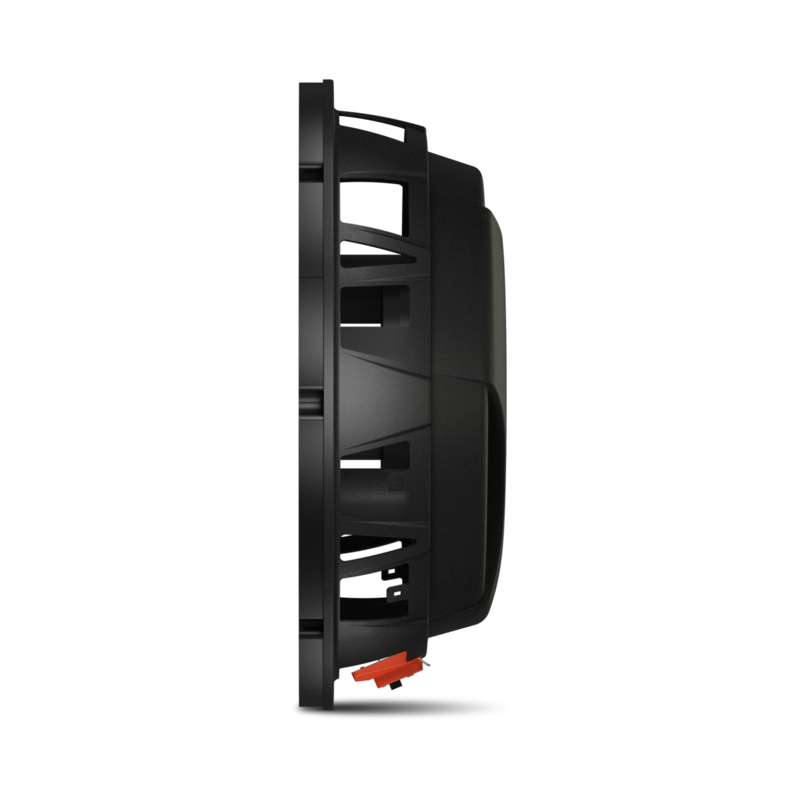 Hi there, the Cutout Diameter for our JBL Club WS1200 is 11-1/8&quot; (282mm). HOW MUCH DOES THE WS1200 WEIGH? 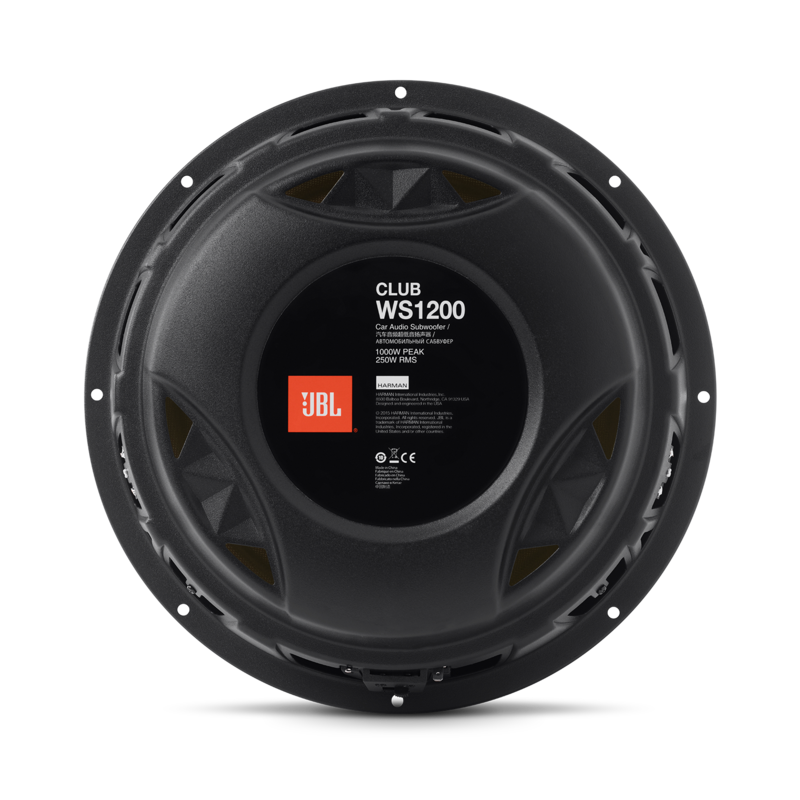 The JBL Club WS1200 weighs approximately 5kg. What's the usable excursion in inches on the WS1000 and WS1200? The usable excursion for both the WS1000 and WS1200 is 0.3 inches or 7.65 mm.